The Chevrolet was a car built for a purpose. It was the vehicle by which William C. Durant intended to regain control of General Motors, the corporation he had founded in 1908 and which he lost to the bankers in 1910. 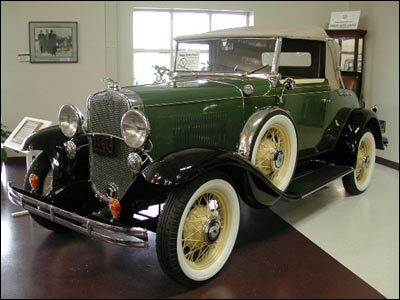 In the early years, Ford outsold Chevrolet by as much as 8 to 1; but by 1931, Chevrolet had 6 cylinders, two more than Ford. That year Chevrolet captured the sales lead for the first time. The “Cast Iron Wonder” had arrived. Sometimes known as the “Stove Bolt Six.” Chevrolet’s sturdy overhead valve engine would endure into the early Fifties.